Commercial Window Cleaning @ Spring Hill – Never a Stretch! Turning up to a 6 storey building might be a challenge for an acrophobic, but it’s certainly not a challenge for the commercial window cleaning Get It Clean Team! Case in point is this building we recently window cleaned at Spring Hill. One might begin to wonder what happens to the hard to reach glass…does it get overlooked, does it need abseiling or how does one go about cleaning it?? The answer is quite simple. At Get It Clean we use water-fed extendable poles that allow us to reach the tightest of nooks and crannies up to 8 storeys high! It is so effective that it’s as if we were on the ground cleaning it! But what about if we had to go higher than our poles allow? That is something we deal with regularly and we use qualified abseiling technicians to ensure that there is no glass too high to clean. This is why a number of hospitals, schools, body corporates and commercial building owners trust Get It Clean with their window cleaning. Please read some of the reviews that we have received and give us a call or send us an email to discuss your commercial cleaning conundrum and how we can help. 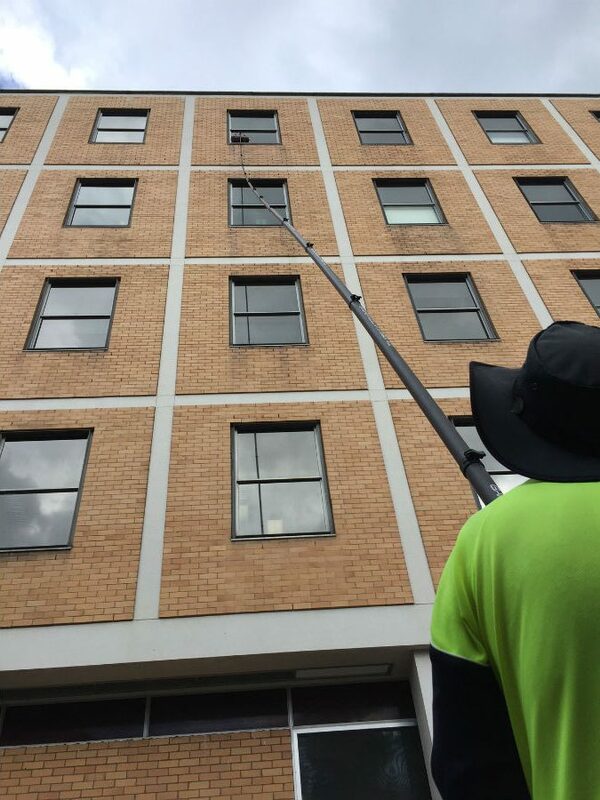 https://getitclean.com.au/wp-content/uploads/2017/07/Commercial-window-cleaning-srping-hill-e1500522095826.jpg 900 675 Get It Clean https://getitclean.com.au/wp-content/uploads/2013/07/get-it-clean-logo.png Get It Clean2017-07-20 03:46:042017-07-20 03:47:39Commercial Window Cleaning @ Spring Hill - Never a Stretch!